Specially made to deal with plastic laminates and other man-made materials besides wood. 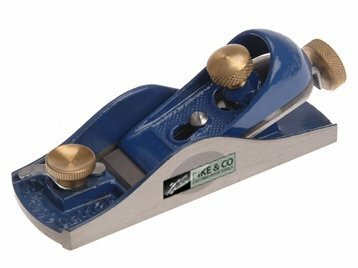 Cutter set at 12.1/2 degrees with mouth adjustments for coarse or fine work and end grain. Fully adjustable for depth-of-cut with cutter held firmly by lever and cam. Cutter width: 42 mm (1.5/8in).